NOVEMBER 30TH LEIXLIP, CO. KILDARE – Minister for Communications, Climate Action and Environment, Denis Naughten TD, has today unveiled a unique and innovative Solar PV-and-Battery powered technology project that enables five schools in Leixlip, Co. Kildare, to generate and store their own energy supply directly from the sun. 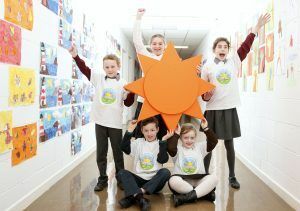 The ambitious ‘Solar for Schools’ project is the brainchild of leading energy and technology partners SSE Airtricity and Intel Ireland, and is supported by the Sustainable Energy Authority of Ireland (SEAI) as part of its ‘Better Energy Communities’ fund. The project combines Solar PV-and-Battery powered technology which has been installed in each of the participating schools, allowing these energy users to generate and store their own energy rather than draw down energy from the grid. The aim of the project is to increase community focus on sustainability and create a greater understanding of how renewable energy and storage can help serve our energy needs. 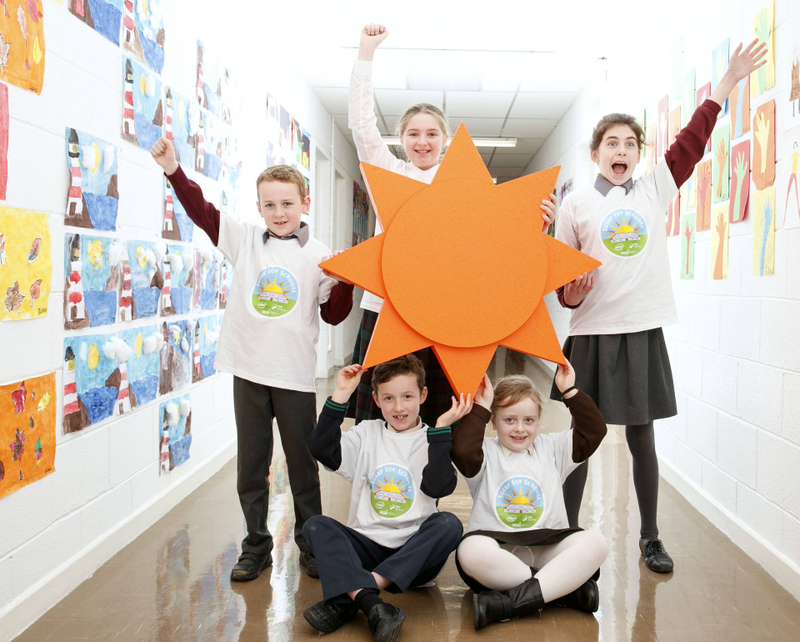 Solar for Schools is part of an ongoing multi-million euro partnership programme between Intel and SSE Airtricity to test latest Demand Side Management energy technologies. Under this latest initiative between the two organisations, solar photovoltaic (PV) panels and rechargeable lithium-ion batteries have been installed free-of-charge into the participating schools. The installed technology not only generates greener energy but also stores it, allowing the schools to use the stored electricity supply when they need it. This helps to reduce the amount of wastage in electricity generation through self-consumption and eases demand on the grid at peak times. 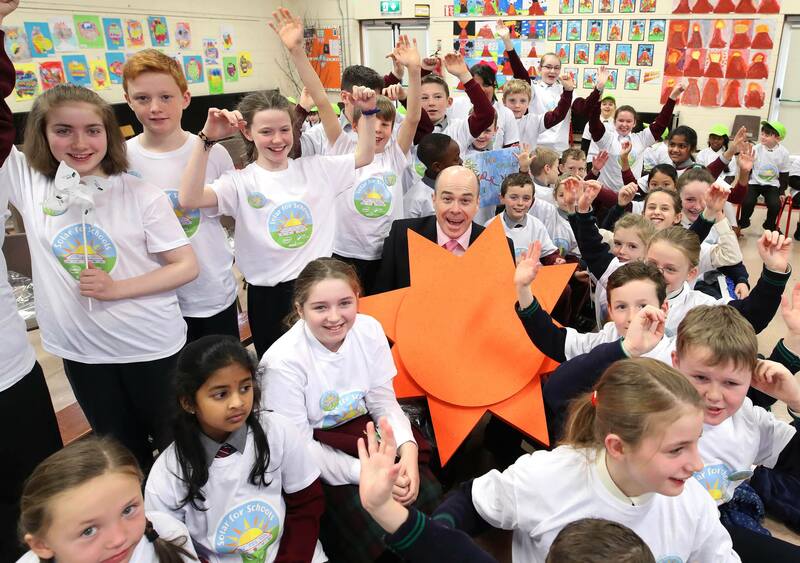 Minister Naughten visited San Carlo Junior School to officially launch the Solar for Schools initiative and see the innovative power supply project working first-hand. As part of the launch the Minister had the opportunity to meet representatives and students from each of the participating schools and to hear about their experiences of the project so far. Each participating school has received eight Solar PV panels (2kWp) and one LG Chem battery, each capable of storing up to 7kWh in electricity capacity – enough generation to typically power more than 10 school computers or interactive whiteboards each day. In total, 40 Solar PV panels and five LG Chem batteries have been installed at the five schools, generating a combined total of 35kWh in electricity storage capacity daily. 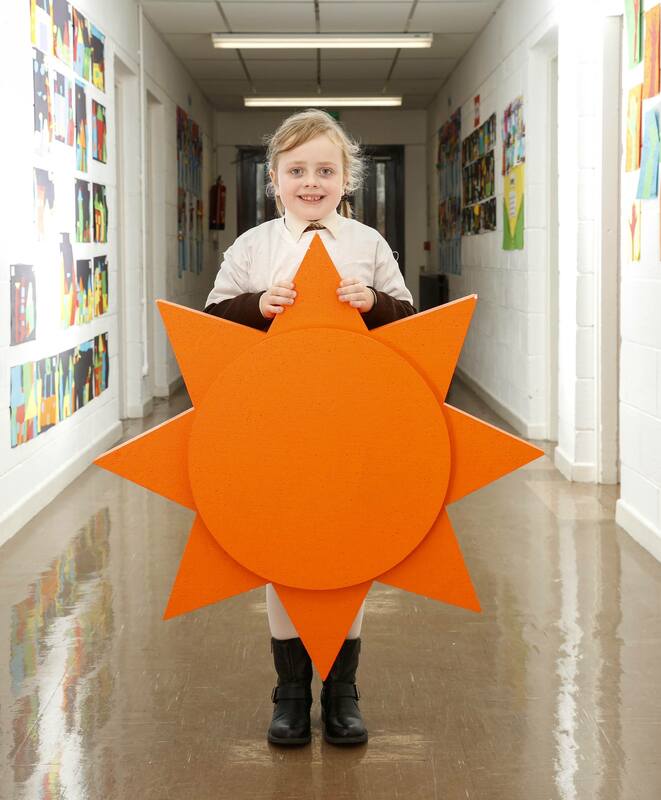 The green energy generated from the sun and stored for use by the five Leixlip schools is enough to offset over 50 tonnes of harmful CO2 emissions annually. Speaking about the initiative, Director of Public Affairs at Intel Ireland Hugh Hardiman added; “Intel Ireland is committed to being a leader in environmental sustainability and has demonstrated this commitment since first establishing operations here in Leixlip in 1989. 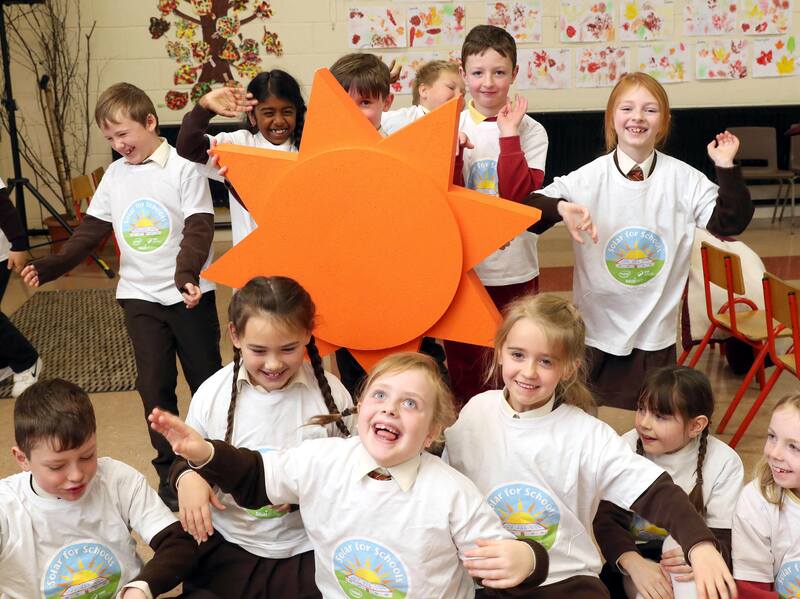 We are also committed to, and proud of, our strong and longstanding relationship with our local communities and this project provides an innovative way for us to support local schools as they embark on their renewable energy journey”. This joint SSE Airtricity and Intel project is the latest in a multi-million euro partnership programme looking at the consumer benefits of demand side management in the energy supply chain. Both companies are participating in the EU’s Horizon 2020 ‘RealValue Project’. Under the €15.5m project, SSE Airtricity and Intel are working with other leaders in the energy supply chain to provide sustainable and efficient upgrades to ultra-modern electric heating systems in over 600 homes across Ireland. Every day, light from the sun hits the solar panels on the roof of each school with photons (particles of sunlight). The solar panels are made of silicon which acts as a semiconductor; this silicon converts those photons into electrons of Direct Current (“DC”) electricity. These electrons flow out of the solar panels into the battery which stores the energy and distributes it back out. It is distributed in DC electricity to an inverter and from there is turned into AC (Alternating Current) electricity which powers the appliances, like computers and white boards, in the school. The energy stored in the battery can also be distributed back to the national energy grid through the inverter. 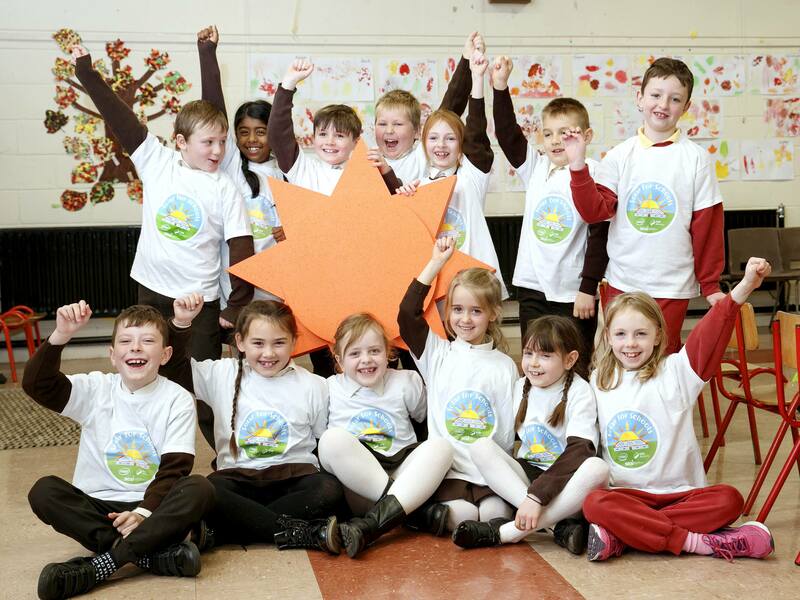 The SEAI’s Better Energy Communities is a Government funded scheme that supports community oriented energy projects, with a cross-sectoral approach, to deliver energy savings to homeowners, communities, and private sector organisations. 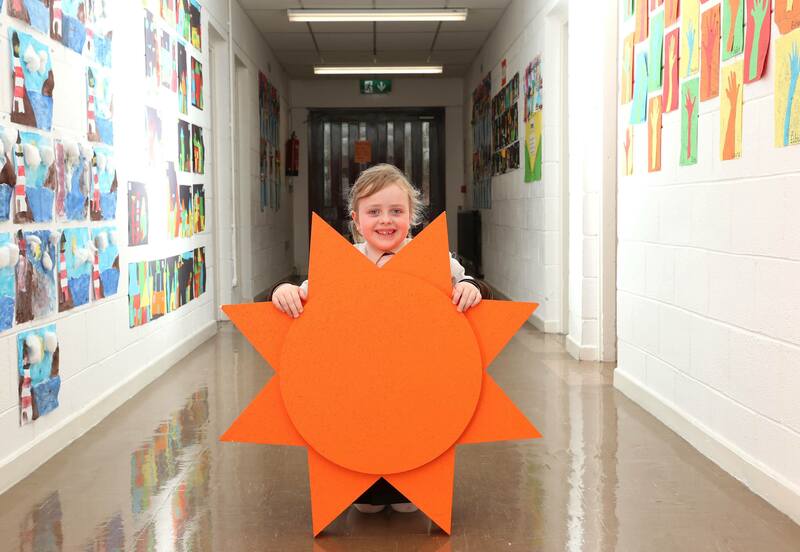 In 2018 the scheme will provide €28 million to eligible projects. At Intel, we continually strive to improve our operations and minimise our impact on the environment and Intel Ireland is at the forefront of sustainable plant operations across Intel worldwide, voluntarily investing more than €35 million in energy conservation projects at the Leixlip site in recent years. Intel Ireland recently announced that 100% of all electricity supplied to its Leixlip campus in 2016 was generated from indigenous renewable sources, making Intel one of the largest voluntary, private purchasers of renewable energy in the country. SSE Airtricity, a wholly-owned subsidiary of FTSE-listed SSE plc, is proud to be Ireland’s largest provider of 100% green energy to home and business customers. 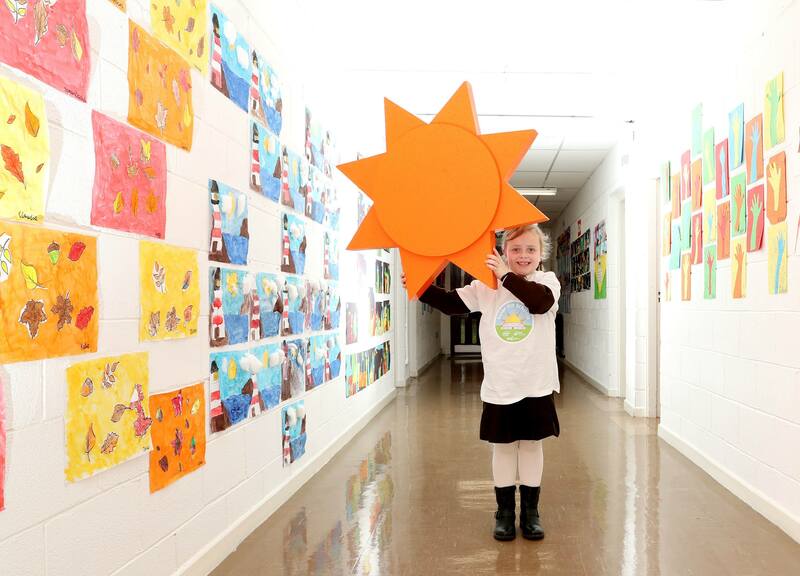 No other energy supplier provides more green energy or manages more renewable energy generation than SSE Airtricity. 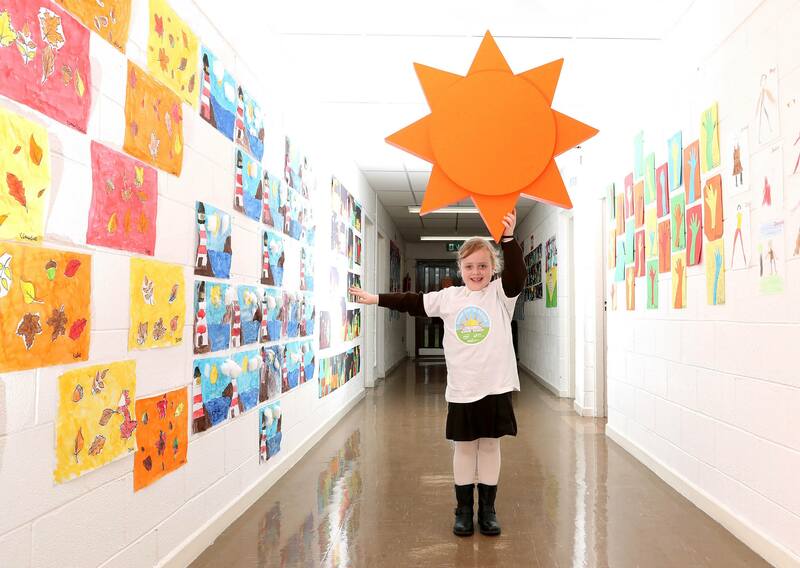 In 2016 SSE Airtricity supplied almost 5TWh of green energy with zero carbon emissions to home and business customers, significantly abating almost 2 million tonnes of harmful CO2 emissions on the island. Since 2008 we’ve invested over €2bn in the development of green and lower carbon energy infrastructure to help Ireland meet its 2020 renewable energy and climate change targets. SSE is the country’s largest generator of wind power, now generating 717MW of green energy from our 28 wind farms across the island. SSE Airtricity is breaking new ground in supporting nascent renewable technology in Ireland, from support of solar powered projects through to calling for the rapid development of offshore wind energy in Ireland as part of a diversified mix of renewable technologies.